Holiday hating vandals are on the lose in Selinsgrove! Late Saturday night someone broke a huge vase and ripped lots of expensive flowers at the popular Selinsgrove Commons. 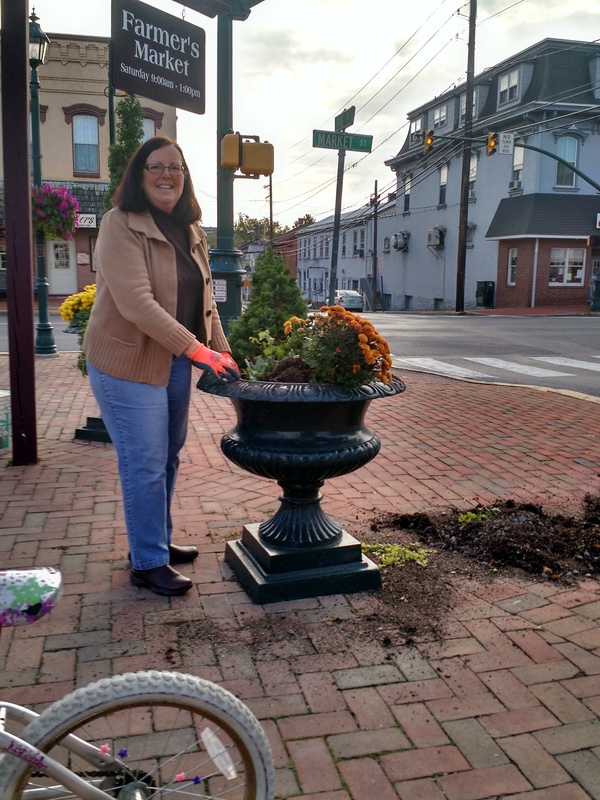 “It must have taken more than one person to move this huge vase,” Carol Handlin, a community member who helps out with the Commons told the Orange Street News. Its not the first time the destructive bandits struck the area, according to Handlin. “Its very upsetting because we have volunteers who help raise the money for the flowers and to see someone rip them up really upsets me,” Handlin told the Orange Street News. The vandals better be careful.The town has plans to catch them in the act. This entry was posted on October 18, 2015 by Hilde Kate Lysiak and tagged Hilde kate lysiak, Orange Street News, selinsgrove, selinsgrove commons.